Turn your passion for health and fitness into a career that changes lives. 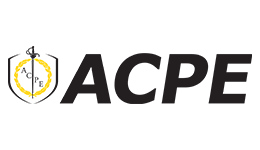 The Associate Degree of Sports Business from the Australian College of Physical Education (ACPE) helps translate your enthusiasm into professional expertise. Build on what you've learned in a Diploma and excel your career in fitness! You'll develop your understanding of nutrition, weight control, lifestyle health and general wellbeing to help you deliver results for your clients. In this fitness course, you'll advance your theoretical knowledge and practical experience in strength and conditioning, exercise physiology and biomechanics. In addition to your associate degree, you can become a qualified personal trainer or fitness instructor while you study at no extra cost! Why wait to start working towards your career goals? Take the plunge and start studying now! In addition to building your understanding of fitness fundamentals, this course provides the option to become a qualified personal trainer or fitness instructor while you study.